As a content marketer you are constantly bombarded with new ways to keep your audience engaged. With so much innovation, it’s actually a surprise that 61% of consumers still prefer to make a purchase only after engaging with your content. Writing that provides value to your audience continues to be the most effective way to increase engagement, but how can you really determine what they like to read? 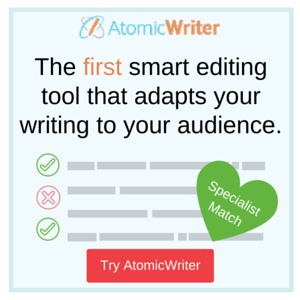 From over two years of research, the Atomic Reach company created the world’s first intelligent editing tool AtomicWriter. They wanted to actively help content marketers learn how to write for their audience by showing them exactly where they could improve their content. AtomicWriter measures every detail of your blog post and gives you recommendations as to what you should be editing to improve the content for your audience. With tips like how to add emotion, write effective titles, and measures in readability, your blog post becomes optimized for the web and your company’s success. AtomicWriter grabs insights from your readers’ behaviour to help you develop content specifically for your target audience. It is a tool that helps you connect with who your audience is and guides you through the editing process, creating content just for them. Reminiscent of when you received grades in school, you’re provided a personalized Atomic Score, to help you benchmark your work. This number helps you maintain or exceed your overall average every time you blog. As a result, you get maximum impact in your content’s performance, which ensures that your readers receive high quality content for every blog post you publish. You can get AtomicWriter as a Chrome extension or Wordpress plugin. Making the tool available for those who have other blogging platform preferences, there is also the web app. For blog managers that work with multiple writers, AtomicEditor (found within AtomicWriter) is available to contributors who don’t have admin access to the host blogging platform. 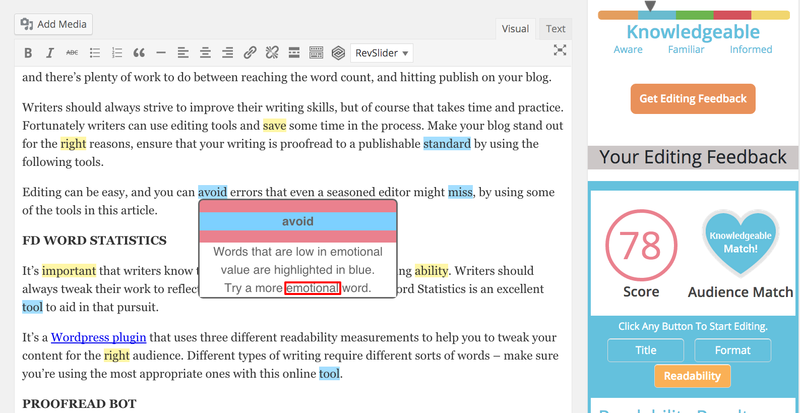 Results based from 22+ measures gives you real-time feedback in the editing phase of writing your article. Keep an eye out for even more measures being added to AtomicWriter because they’re always evolving! Paired with AtomicWriter, the AtomicInsights dashboard helps you track your content’s engagement data, performance, and shows you the most optimal time to share your content on your social media channels. You are able to see the results of high or low performing content in relation to your Atomic Score. 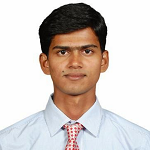 For example, when you achieve or exceed your Atomic Score, engagement should increase. This includes time spent on page, uniques, social media engagement (tweets, comments, shares), and pageviews. 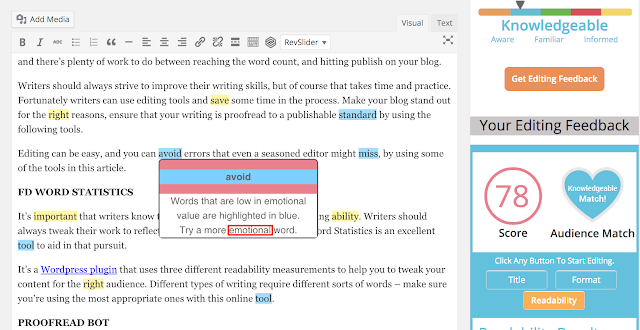 AtomicWriter is the intelligent editing companion perfect for writers, bloggers, editors, content marketers, or freelance writers, helping you to improve your writing skills and grow your blog effectively. For those looking for freelance writing jobs, the AtomicStudio service provides writers with opportunities to create content for notable brands. If you have a blog and write about content marketing why not become an AtomicAffiliate, and earn a commission from the traffic you already generate. Even with all these tools and services provided by Atomic Reach, it still circles back to creating great content that resonates with your audience. How do you edit your articles or write with your readers in mind? Leave a comment below and share your thoughts!